After an average start at the box office on opening day, RAW- Romeo Akbar Walter witnessed a rise in its collection on Saturday. 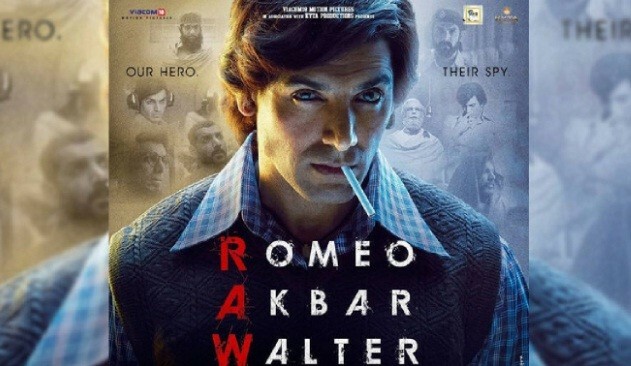 John Abraham's latest release RAW- Romeo Akbar Walter has had an average start at the box office on its opening day, but the movie witnessed a hike in its collection on day 2, Saturday. The spy thriller had received mixed reviews from the critics. Some liked it but some others found it average. Despite being released solo, RAW- Romeo Akbar Walter had made a collection of just Rs 6 crore at the Indian box office on first day. As expected, the movie witnessed better occupancy on Saturday, and registered a better business on its second day. RAW- Romeo Akbar Walter collected Rs 7.50 crore at the domestic market on day 2. With a screen count of around 2,000 across India, RAW- Romeo Akbar Walter may have made a slow start, it can still manage to assure profits for the producers as the cost of production is limited. If RAW- Romeo Akbar Walter manages to maintain the momentum at the box office on Sunday, it can end the first weekend on a decent note. Directed by Robbie Grewal, RAW- Romeo Akbar Walter is based on true events showcasing the sacrifice of an Indian for the security of the nation. John plays the lead role of an espionage, who takes all the risk to gather confidential information from Pakistan during 1971. The film also features Mouni Roy, Sikandar Kher, Jackie Shroff among others.